The 1994 world cup soccer finals between Brazil and Italy ended in a Goal-less draw. I was watching that match in Doordarshan on TV. Just when I thought that the world cup would be shared by both Brazil and Italy, I saw the match taking a new turn with the penatly shootout. 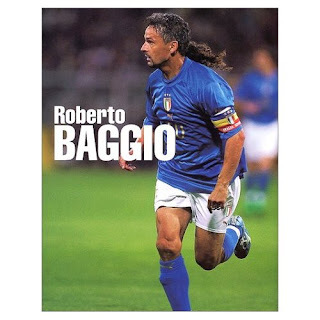 Brazil eventually won when Roberto Baggio ballooned his kick over the bar. I understood that big prizes are not for sharing and there is only one winner in most cases. Most of us would remember that kindergarden story about a monkey dividing a cake for two cats. The cats ended up as just mere spectators and the monkey ate the full cake. The reason why I stated these two examples is just to explain the fact that When two people achieve something great, they should not be given a single Prize and asked to share it between them. this is What happened to Jeremy and Jolena. Jeremy and Jolena saved our country HERE. The Prime minister of the country praised their efforts and presented them with His Royal Chair HERE. But Why did he just present one Chair? He should have presented two chairs for the kids. Jeremy and Jolena ended up having a heated conversation in deciding who is eligible for sitting in the chair.See the deadly debate here. ROFL heated arugument or a bullfight chriz? What a maajjoooor bullfight between the two extra adorable kidzies! PS-come check my 50th..mentioned you! The kids have a bright future in politics!!! Thanks for your reply. As I see you have replied but have not answerd. No, I'm not blogging bud. I am not interested in blogging. I post anonymous because I don't have an account and don't intend to have one. If name's just enough, it's Nikhila. Yes, I am interested in rating agency and no, I'm not interested in who the traffic provider is, but what the traffic was. thats a very sad state indeed.. i never said that he was the prime minister of this country..
damn IT company? IT companies should be banned ..
do they? are you sure? would they give a speech like obama? would they talk about me? glad to know that you are interested in knowing the traffic this sites pulls in.. To be frank , I do not keep track of the traffic.. I am not using this for commercialisation.. So dint add optimising stuffs also..
as far as the rating is concerned its content based rating and not reader biassed! indibloggies is based on voting and stuff and my blog has not graded to that level yet.. mine is a small time fun page..
i am a pure brazil fan.. i love their game.. but i am sad to see their style change in the last two years.. they are not any more the short samba passing team anymore.. they play like the europeans now..
sad state for brazilian football. Hi mama, we are so embarassed about this. Our mumma tells us to use our words not our hands. We did not listen to her that day coz that stupid chair seemed so important. But now we are into our training . This wont happen again we promise. awwhhh when nothing else works BITE!! Seriously this is what I would do to my bro too.. I started reading your blog after that article on ergo . HAHAHAHA @chait fight! So cute. I can rem I used to throw hissy fits (still do) at my cuzn bro when were like 5yrs old. He and I palyed together and then suddenly we hated each other, and then one day I threw some food on his face LOL! they have become calm again now..
thanks for cominng to my page and for that lovely comment bro.. i am just a small time blogger.. there are bigger guys in he business..
keep cominng.. ill visit your page.. This is so so so funny. I was. Cos he was making me one lol! I missed so many of ur posts...reading them all now..